THE second annual Richmond Cherry Blossom Festival will re-awaken the community to the beginning of spring on April 8 at Garry Point Park. The park is home to 255 Akebono Cherry Trees planted by the B.C. Wakayama Kenjin Kai (Association) with the support of the City. The cherry trees will create a stunning frame for a day of nature, culture and community. Tanaka added that Mary Hirano, the event co-organizer, chose harmony as the theme of this year’s festival, to bring the diversified community together, to reconnect with old friends, meet new ones and rekindle the sense of community. This free public event will take place on Sunday, April 8, from 11 a.m. to 4 p.m. Come and view the beautiful cherry blossoms on display, take part in cultural demonstrations, enjoy local eats and be amazed by the performances by local Taiko drum group and dancers. 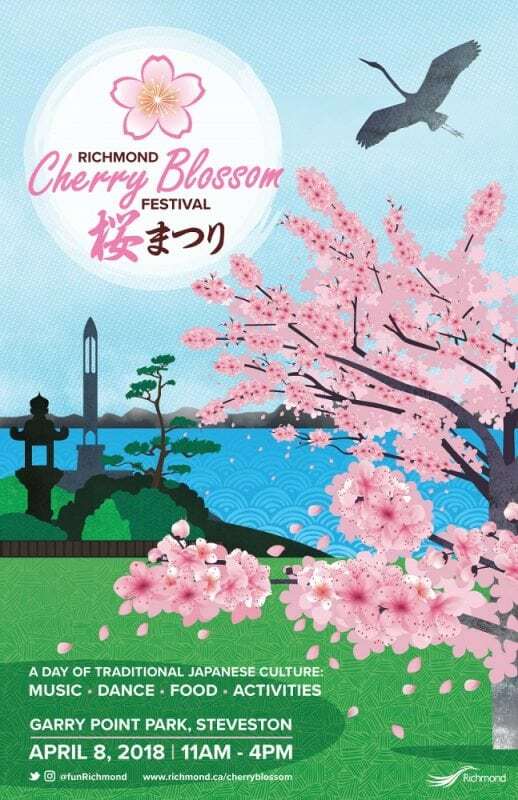 For more information about the Richmond Cherry Blossom Festival, visit www.richmond.ca/cherryblossom.